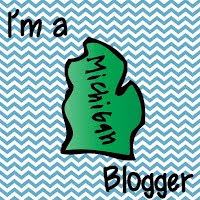 You meticulously plan and prep for reading, writing, math, spelling, science, social studies and language lessons....am I right? But when it comes time for small group guided reading lessons, you fly by the seat of your pants! It's okay...we have all been there! 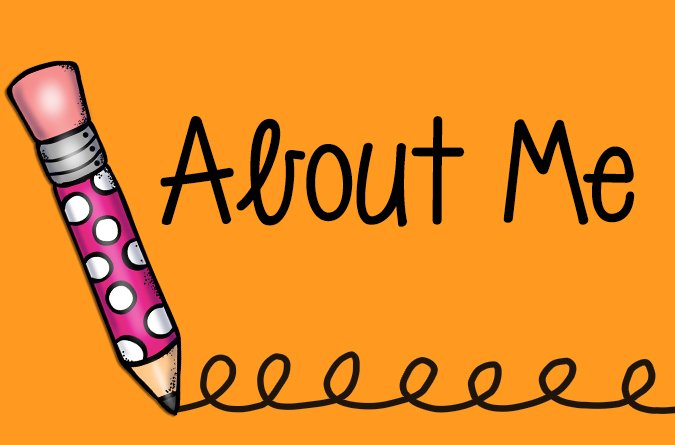 Who has time to plan for five subjects AND 3-5 guided reading lessons each day?! Today I offer you a way to plan your guided reading lessons in a very simple way, without re-creating the wheel. It's almost like following a recipe....just get your ingredients all lined up and follow the steps. 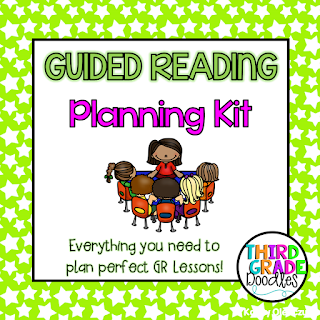 You will want to plan your guided reading lessons ahead of time. I like to plan all of my guided reading groups for a whole week. I fill out my 2-page planning worksheet for each group, gather the books I will need and I am set for a whole week. You can pick that up for free HERE! Also, you will want to take notes during the lesson. I take notes right on my planning worksheet, which simplifies things. Take note of student strengths and difficulties as well as things you that you will want to work on for next time. It would also be helpful to make notes about the text or materials that you used during the lesson as reminders for next time you use them. In third grade, you will likely not need to meet with all students in a guided reading group. My groups consist of students who are reading exactly at grade level or below. I do not place students who are reading above grade level in a guided reading group. I try to meet with them once every week or so to check in with their reading selections. I have a daily whole-class reading lesson, and our school has leveled reading intervention time three times per week. That is ample instruction for my higher achieving readers. I have three groups, and I do my best to do a guided reading lesson with each one 3-5 times per week. I keep my guided reading lesson plans in a binder with a tabbed section for each group. I keep the books organized for each group in hanging files that I keep in a small rolling file cart. That cart also has a drawer where I keep everything else including magnetic letters, sticky notes, marker boards and pens. I try not to use a lot of fancy supplies for guided reading time so that I am not wasting time juggling a lot of materials. Most of the work we do in guided reading involves a book, a marker board and possibly sticky notes. On a rare occasion, I will use magnetic letters (with my lower achieving readers). The fewer materials you use, the quicker your lesson will go. Let's face it...it is TOUGH to get a guided reading lesson finished in 20 minutes!! I need things to run like a well-oiled machine! Choose books that are either at your students’ instructional or independent reading level. If the focus of the lesson is comprehension or fluency, it can help to choose books that students can read independently with 99-100% accuracy. If you are lucky, you have a school-wide book room with plenty of leveled fiction and non-fiction selections. If you are not lucky, I highly recommend Reading A-Z. There you will find lots and lots of leveled readers. You have to print them out and run the copies, but its better than nothing! The books are high-quality teaching texts and perfect for guided reading! When I use Reading A-Z books, I print out a set of 7, and keep them in ziploc bags so that I can use them again and again. You will need to verse the rest of your class on what is expected from them when you are with a small group (whisper voices, no interruptions, etc.). They should know what to do and be able to do it with little direction from you. Many teachers have their students reading silently during this time. Other teachers opt to do Daily Five rotations or literacy work stations. Do what works best for you and your students, but make sure students have had a chance to practice the routine BEFORE you start your guided reading groups. Otherwise, you will find that you have a lot of interruptions. Time is short in a guided reading lesson, so students in the group should be on-task the whole time in order to accomplish the objectives of the lesson. You will want to set up group norms as part of your first group lesson. Students should be taught ahead of time that interrupting is not acceptable, and members of the group will take turns talking and respect each other’s ideas. These components may not be included in EVERY lesson. Some teachers like to alternate the written response activity and the word study, since there is usually not time to do both of these in one lesson. Also, you may wish to order these components in a way that makes sense for your group. Depending upon the amount of time that you have for each group, you may have to split the components into multiple sessions. Again, do what works best for you and your students. Most teachers will begin their guided reading session, with a quick re-read of known text (from a previous lesson). You may wish to do a running record assessment on one of your students at this time. Otherwise, you can listen to each student read independently (not round robin) as they are reading quietly to themselves, giving prompts for meaning, fluency and accuracy as needed. When giving students a new book, you will want to give a thorough introduction of the book. This will include decoding and discussing new, tricky vocabulary words. You can do this separately from the text by writing the words on the whiteboard or on flashcards, and having students decode the words and determine their meanings. You could, instead, do this as you introduce the book, having students find the words within the text as you do a picture/page walk. Have students clap out the new words, listening for their parts, or syllables. This will aid in decoding. As part of the introduction, you will want to give a synopsis of the book, introducing the characters, setting and plot of the story. You may want to refer students to certain pages to point out illustrations and or text/dialogue that will be important to note as students read the story independently. You may ask some thought-provoking questions and encourage students to make connections during the introduction, but avoid getting into a long conversation. This should not take more than a few minutes. Finally, you may want to offer a decoding or fluency strategy for students to try as they are reading. Also, you should give them a purpose for reading by telling them to notice something or think about something as they are reading that will help them to focus on meaning. This could be framed as a question (i.e., As you read, think about what kind of person Danny is. As you read, be thinking about why the author wrote this book.). Students should have a reader’s notebook that they bring with them to their guided reading book. This can be just some blank loose leaf paper stapled together, a composition notebook or a spiral bound notebook. 1-2 times per week, students should write about their reading. Most teachers will give students a specific prompt to write about, and then give students a brief amount of time to do this. It will mostly be just a few sentences or a graphic organizer that they write in relation to a book they have just finished. You could also have students do this as part of their homework, and then have them share their responses at the next session. Most students will benefit from a short word study activity. It could connect with words that are in the book they are reading, but it should focus on student need. There are a variety of phonics assessments available that can help you to determine what your students may need to work on. 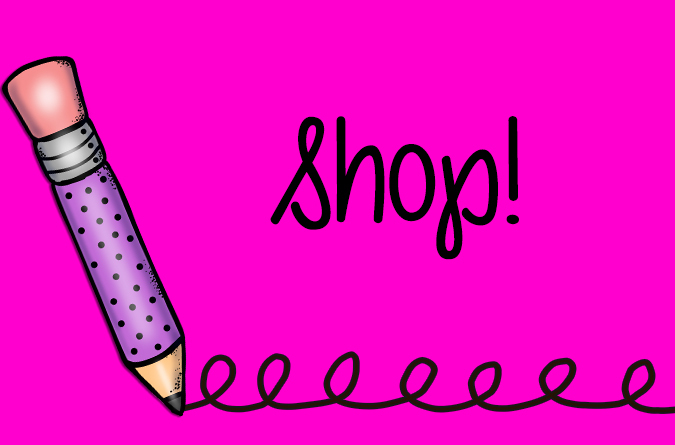 I recommend the Elementary or Primary Spelling Inventory, which is part of the Words Their Way program. Most of the word study that I do with my guided reading groups is word sorting (words their way), and/or making and writing words (using a white board). Very low readers may need more intensive word study and phonics work using magnetic letters and/or elkonin boxes,and possibly a phonics program such as Read Well. If your students take the NWEA reading assessment, you can use their RIT scores to help plan your guided reading lessons. You will want to group your students using their RIT range (in combination with other reading assessments). NWEA has a learning continuum that organizes the skills students need to master according to their RIT range. I use the continuum to help plan focused guided reading lessons. I simply pick on of the skills from their RIT band and use it as a learning target in the lesson by including it in the comprehension conversation and/or the written response. Our school also uses the Fountas and Pinnell Benchmark system to assess our students. You can find a RIT conversion chart HERE! Lesson Planning Pages (shown above) - A print-and-go worksheet to make planning for guided reading super easy! Prompting Guide - This invaluable guide includes "on the run" teacher prompts to use while students are reading aloud (fluency, decoding, self-monitoring, and comprehension), fiction and informational written response prompts, comprehension conversation prompts (within, beyond and about the text). Print, place in page protectors and you are ready to go! Learning Target Checklists (example shown above) - These are organized by RIT band and include all of the skills students in each RIT band still need to master. Includes checklists for informational text, literature and vocabulary. These are based on the NWEA learning continuum. These checklists make planning for each group super easy! 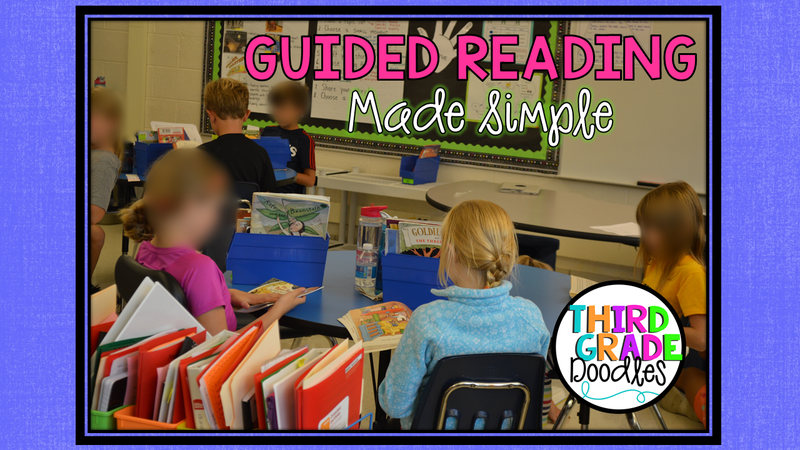 I hope you find this post helpful in getting guided reading started with your students! What kind of books do you read with the small groups? Usually I use leveled guided reading books, which are available in our school book room. I also use printable books and passages from Reading A-Z. We use the Fountas and Pinnell reading program. I have a leveled classroom library. We also have a book room with the leveled readers from F & P. My question is this: during guided reading groups are the students using leveled readers (the same one? ), or choosing a book at their level from our classroom library? 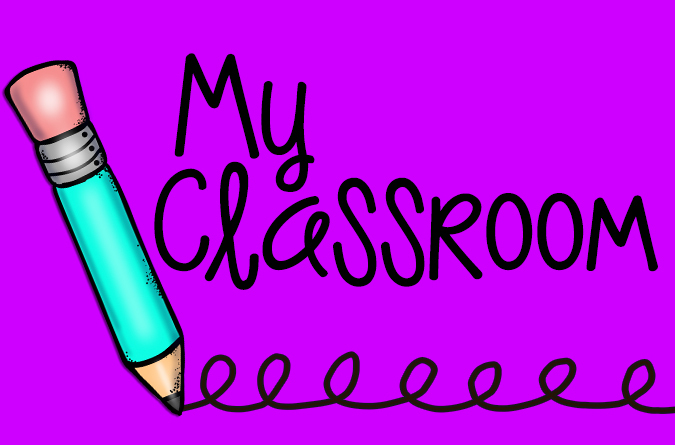 Should the classroom books only be used for independent reading time?